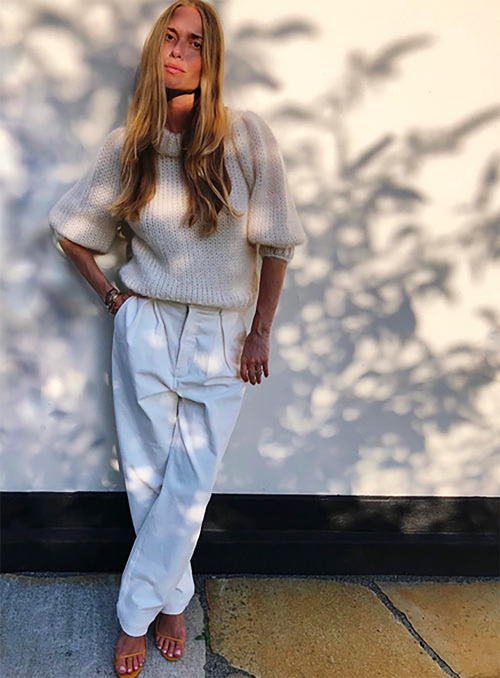 Long knit dresses are beautifying the boulevards of Paris during Fashion Week right now, and in true Gallic style, they're seductive yet simple. 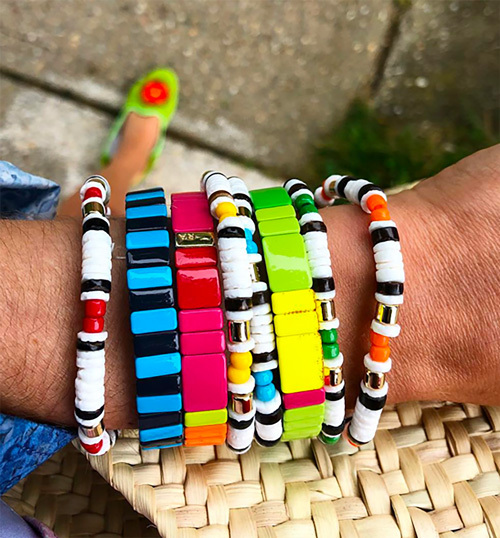 Fortunately for us, we can also sport them back home--and get them along with beaucoup de la chic fashion--on sale at Shopbop! (Spend under $500, get 20% off, spend $500+, get 25% off, get the code here.) The dresses pictured above are by Jacquemus, and the plush balloon-sleeve sweater, below, which I've been craving for weeks, is by Ganni (I snapped it up in yellow). I'd also like to have these Rosie Assoulin-spirited beaded Shashi bracelets (last pic, another fashion week fave! ), this Ulla Johnson party dress, these Hermes-inspired Steven sandals, this ruffled Rebecca Taylor blouse, and these perfectly-cut AGOLDE high-waist jeans. Shop the whole shebang here.